Cancer is a scary word, yet it does not only cause stress and anxiety among humans and their loved ones but also with their pets. Often characterized by a mass or swelling that can only be accurately diagnosed with medical and lab tests, many dogs have been reported to suffer the same illness. It was only a few years ago when I learned about cancer existing in the world of dogs. At first, I thought only humans have them, but it turns out that I’m wrong. Dogs, can, in fact, have cancer cells. Today I wanted to share with you a story I came across while watching dog videos only. 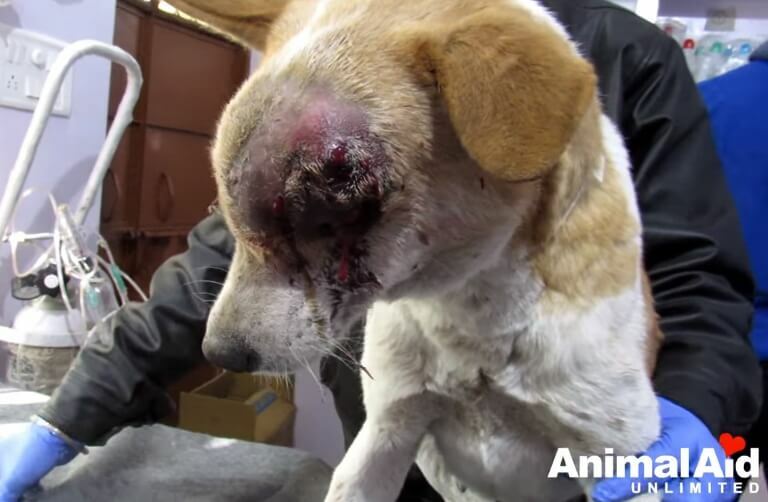 It’s about a brown and white dog people tried to save after seeing her face with massive swelling. This is the story of a dog named Olivia. A white dog with brown spots was spotted sporting a strange swelling on her head. She seems to be alone and homeless, so they reported her to a rescue group and asked for help. Upon the rescuer’s arrival, they gave her food to which she willingly obliged. They did not need to do much as this female dog seems to be accustomed to people, as she willing helped herself with the bits of food thrown her way. One man was able to pet her while she eats and eventually lifted the dog up to take back to the hospital. She made no attempt to fight, flee or even wiggle her way out. She was very calm and collected as if she knew they meant no harm. Upon arrival, the doctors were able to examine the huge mass that sits on top of her head. Blood is draining from the said mass. They put her on IV Fluid therapy and continued to assess her head. They proceeded to shave the area around the swelling mass as preparation for the next step – an ultrasound. 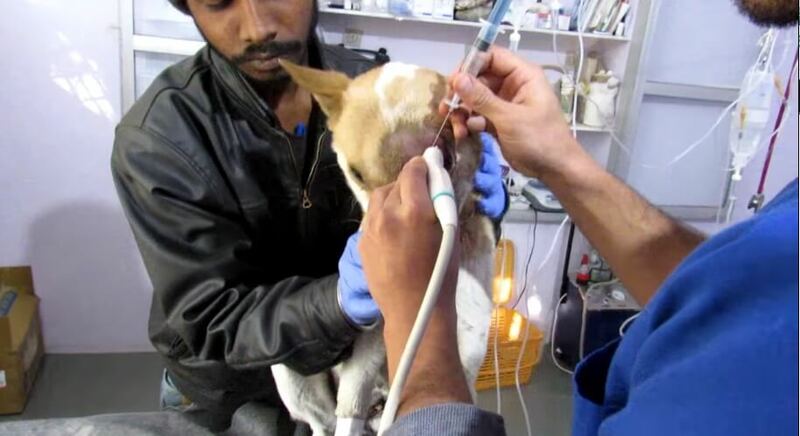 During the ultrasound, they found a very good news – her eye was still intact despite the massive mass covering it! Next, they had to take a sample of the mass to check and diagnose. It was then that they found out the mass was malignant. 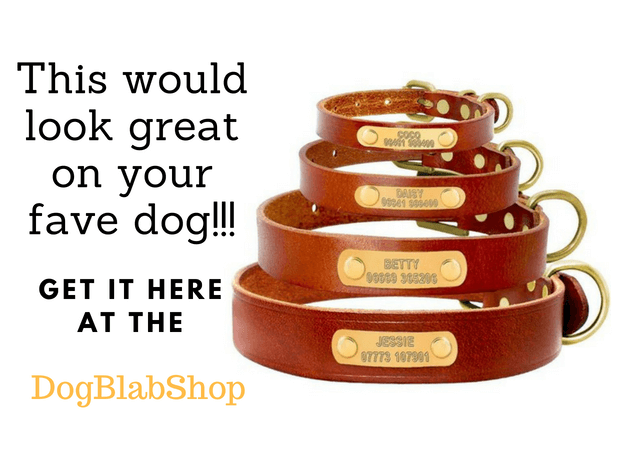 Did You Know That Your iPhone Could Help Rescue A Family Of Dogs? Awesome!